Mt. Bromo is on high alert starting 1 November 2015, with a safe radius around Indonesia’s most iconic volcano set at 1 kilometre from the crater. 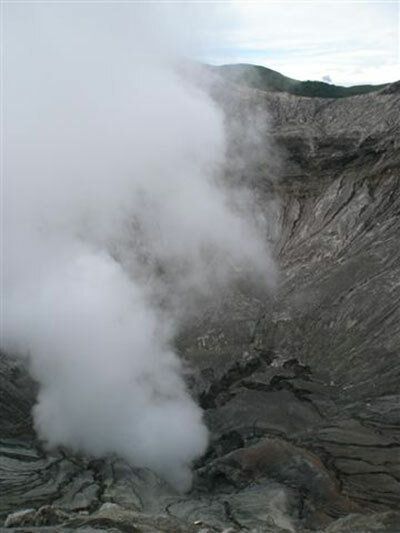 Visitors can still do a tour to Pananjakan for the dramatic sunrise and down to the sea of sand near Mount Bromo. Treks to the crater are suspended until further notice. The hiking route to the crater of Mount Ijen, near Banyuwangi, East Java Province was temporarily closed yesterday due to increased volcanic activity. This means no visitors are allowed to the crater until further notice. According to the report from the Ijen Volcano Monitoring Post, seismic activity at Mount Ijen has increased over the past week.